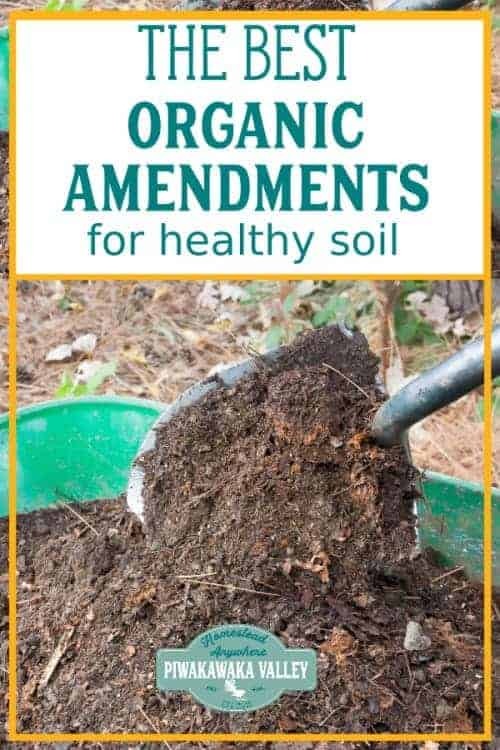 In a previous post we looked at how to turn bad soil into good soil, and in it we discussed adding organic amendments to the soil to improve it’s structure and function. 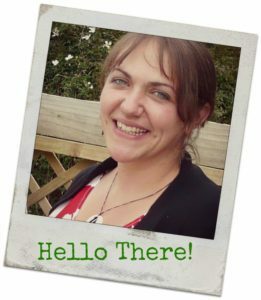 Improving the dirt for your garden is a complex topic, and I suggest that you also read that post. Adding plenty of organic matter to soil for organic gardens is critical in the health of your plants. 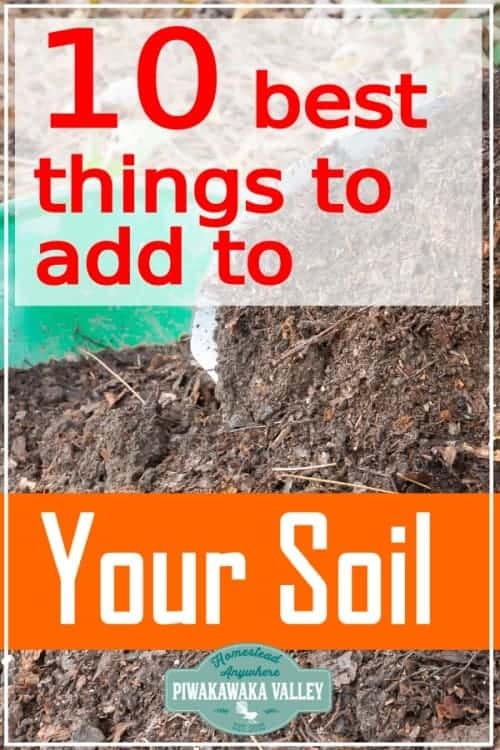 Here are some easy to get and common organic soil amendments for creating healthy garden soil in your garden. A strong organic garden begins with compost. What exactly is compost? It is simply deteriorated, rotted organic matter. You can make your own compost with household cooking scraps, leaves, grass clippings, etc. The longer your compost bin is allowed to process the contents, the better the resulting compost will be. To add compost to your garden you work it into the existing soil before spring planting and you can add more later in the summer if you plan to also grow an autumn/ fall garden. Manure is another very popular organic fertilizer among gardeners. It is perfect for adding organic matter to soil as well as beneficial bugs, bacteria and fungi. The manure from cows, horses, goats, rabbits, and chickens are all considered to be very good for your garden. You can buy manure from garden centers, local farms or if you are lucky enough to have your own grass eating animals, you can get it for freeeeee. With manure you need to be aware of putting it on fresh to your garden space as it can burn the plants, this is especially true of chicken poo. Rabbit is the only manure that you can apply immediately to the garden without risk to your plants. For everything else it is best applied in late autumn/fall after all your plants have been harvested, otherwise you can add it to your compost pile to age. There are a number of other organic soil fertilizers you can add to the garden. Many of these you can make yourself at home, if you have a stomach strong enough to stand the stench! Fish emulsion and seaweed tea, can do wonders for your soil. Blood and bone meal is another, somewhat cheaper, alternative and as it is dry, it is less gross to handle and apply. Comfrey tea is a great option, as it doesn’t smell nearly as bad is rotting fish heads do. Mulch is one of my favorite soil amendments. You can read more about the wonders of mulch here. Mulching is the practice of using straw, hay, or (my favorite) woodmulch around the plants in order to keep weeds from overtaking your garden. Usually a gardener would apply a layer of mulch all around the plants and in the walkways to deter the growth of unwanted plants. 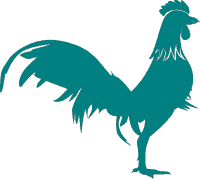 Chicken Manure – Composted it will delivers a well balanced supply of nutrients, don’t apply it fresh it is very high in nitrogen and will burn your plants. Coconut Coir – This is made from compressed coconut fiber, eco-friendly peat alternative! Dolomite Lime – raises pH in acidic soils, promotes healthy plant growth. Greensand – contains potash, iron, magnesium, and up to 30 other trace minerals. Rock Phosphate – Contains phosphate, elemental calcium and other trace minerals. Shellfish or Oyster Meal – calcium source, nitrogen, phosphorus and trace minerals. Sulfur – Makes your soil more acidic, great around acid loving plants such as blueberry, azalea and rhododendron. Worm Castings – the most nutrient dense organic compost available. Why Are Organic Soil Amendments Better for the Soil? When comparing organic and inorganic (commercial) soil amendments, it may seem that the inorganic additions are better because they deliver a bigger boost of nutrients in an easy to apply package. However, in the long term, organic soil amendments deliver more nutrients in a steadier and more usable fashion and they are better at improving other important areas of the garden. Organic soil amendments work to improve overall soil condition and structure, as well as delivering nutrients directly to your plants. Organic amendments also help to feed microbes and bugs in the soil. It is very rare to find perfect soil. Most gardens have wither too much sand, too much rock, too much clay, high acidity or other things. Transforming your soil from bad to good is possible. 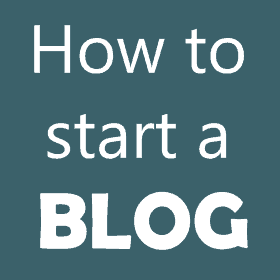 It does take a series of specific steps depending upon the type of problems with your soil. As you add more organic material to your soil, you will increase the populations of all the beneficial microbes, insects and fungi. These very small creatures help to convert the soil minerals along with the organic matter that you provide into disease suppressing compounds, nutrients, vitamins and hormones that are absolutely necessary to successful plant growth. Once you know the benefits of all these little bugs it makes it easy to see that as a successful gardener, you will be far better off focusing on creating ideal soil conditions to support these organisms than on simply providing plants with synthetic nutrients. Green manures and cover crops provide a way of protecting your soil from weeds, loosening the soil, adding nutrients and enriching soil structure before it is used for growing other plants. To protect the soil over the winter choose a cold hardy crop such as winter rye grass or vetch. When spring arrives, you can dig this crop under to add more nutrients to the soil. Like animal manure, these plants provide a great deal of nitrogen and organic matter to your soil. As a bonus, they grow very densely and choke out weed growth. With either cover crops or green manures, you must be sure to dig them under a minimum of three weeks prior to planting the area in your main crop. This gives the organic matter a chance to start breaking down by the time that you are ready to plant. 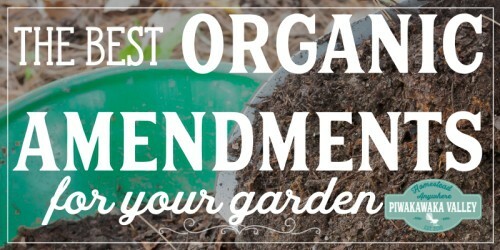 Organic amendments are the best things to add to your soil to naturally improve your soil in your garden. If you need more information about growing a garden, check out our Free Gardening Resources here.